Located in Heflin&apos;s beautiful highly sought-after community called, The Pines. 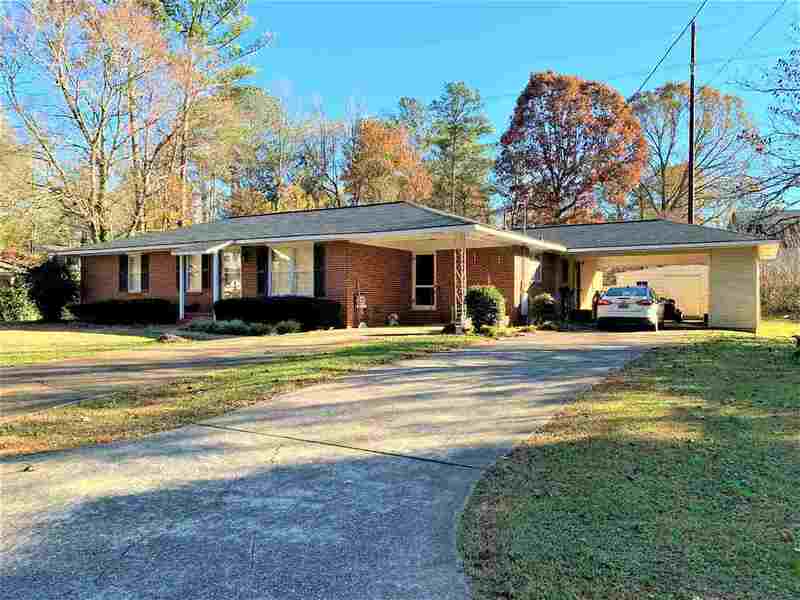 This lovely 3 bedroom 2 bath brick rancher sits on a nice flat lot and is move-in ready and waiting for you and your family. It is within walking distance from Heflin Lake. Inside, you are welcomed with a cozy living room with hardwood floors and crown molding. There are French doors that lead into a large open kitchen and dining room. Down the hall, the master bedroom is roomy with a full bath with a walk-in closet. In addition, there&apos;s a spacious den where you can spend lots of quality family time together. Spend Christmas in your new home. Call today for your private tour. Driving Directions: From I20, Take Hwy 9 North, Take A Right On Brockford Rd, Go Straight Through 2 Stop Signs, Turn Right Onto Crestview St., Crestview St. Will Turn Into Dogwood Row, House Ahead On Right, Sign In Yard.